Rugged mountain passes and remote roadways, not a problem. Remote mountain passes call for complete and cautious snow removal. 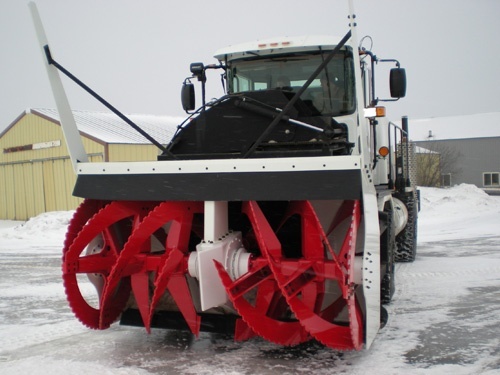 The Oshkosh Road Blower features an all-new mechanical blower head that's specifically designed for impassable roadways. 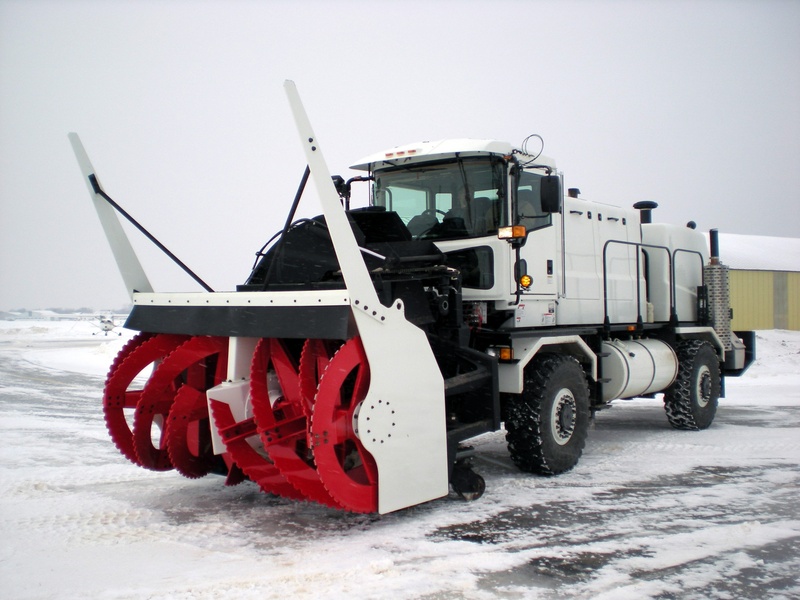 It's planetary axles and high-power engine allow it to blow snow from .5 to 20 mph. It's high-altitude performance means nothing is off limits. 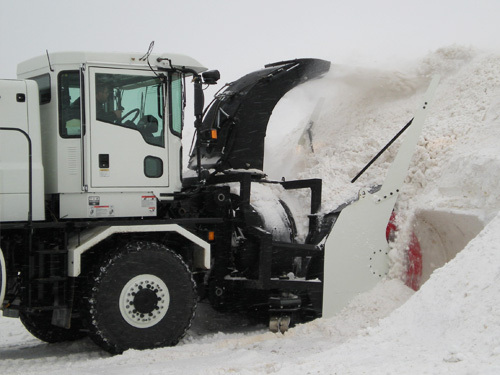 Built on the legendary H-Series chassis that has proven itself at airports around the world, the Oshkosh Road Blower combines unmatched strength and durability with innovative technologies and excellent ergonomics for snow removal in grueling conditions. The Cummins ISX chassis engine is engineered to handle the demands of high altitude snow removal. 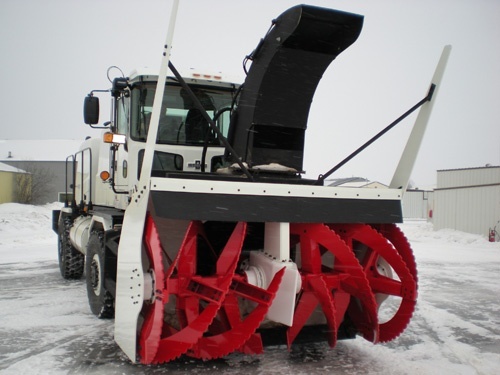 Our blower engine is able to handle the deepest snow – along with stones and tree limbs. The cab is roomy and comfortable, with air-ride seats and excellent sound insulation. It features easy-to-operate digital climate controls. Add in two doors, power roll-down windows, quad electric windshield wipers, heated outside mirrors and even cup holders, and operators will be able to keep more focused and alert. An unwavering commitment to safety has long been a priority at Oshkosh. The Road Blower features an emergency stop button for the blower engine and blower head, a joystick that only engages when the driver is ready, and on-dash error messages that tell operators what safety interlock is blocking a selected action.